THE SING OFF: Season 3 Singers Turned Dancers! 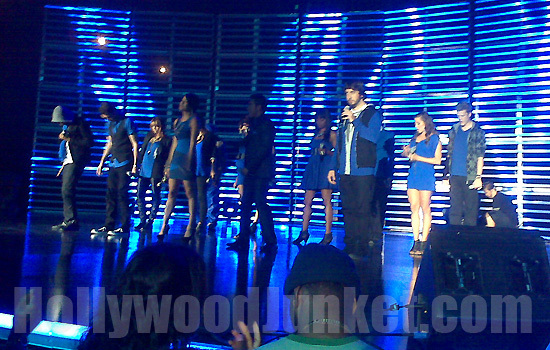 We were on the set for an NBC promo of the new season of “The Sing Off” this weekend. What we saw were singers from each a cappella group performing on-stage lip-syncing and dancing! Shocking! It will be interesting to see the finished teaser. However, we couldn’t understand why the show has decided to promote “The Sing-Off” like a “Glee” type of show. Most of the singers appeared to be unenthusiastic on-stage during their routines. 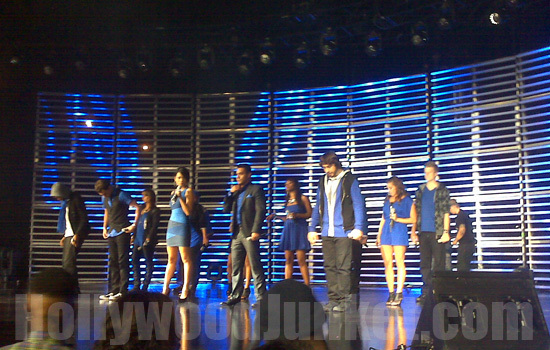 On-set of "The Sing-Off" promo! On the set of "The Sing-Off" promo!